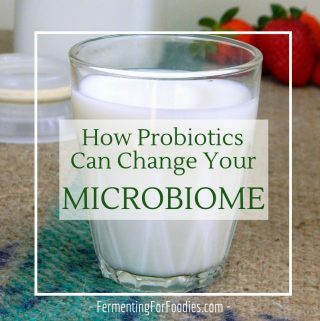 I’ve been in the world of fermentation long enough to realize that there are reasons for perceived fermentation failure. 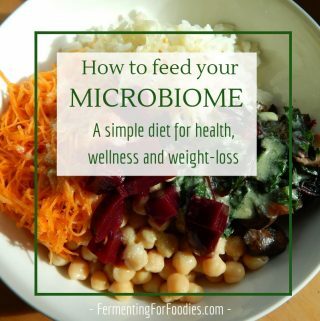 Here are a few common ones, but if you’re struggling with something that isn’t covered, feel free to write in the comments below or on the Fermenting for Foodies Facebook page and I’ll try to help you out! Too Much Salt: What if you don’t like your ferments to be so salty, or maybe you’re supposed to avoid salt for health reasons, are there ways to avoid the salt? Truthfully, it’s risky to ferment with less salt than suggested in the recipe. Salt brined ferments need the salt to prevent contamination from the wrong bacteria or mold. However, you can always rinse some of the salt off before eating. 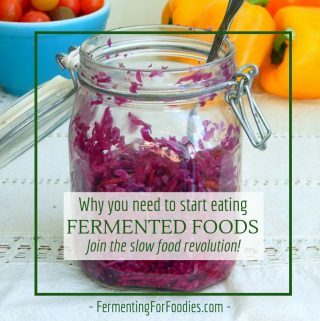 Alternatively, if you do want to try using a low-salt brine, then make sure all other aspects of your ferment are perfect: make sure you sterilize everything, use a starter culture, ferment at the right temperature and use an air-lock or fido. Regardless, if you decrease the salt in your brine, expect more failures. Over-flowing or bulging jars: Most ferments produce carbon dioxide, which bubble and can cause your ferments to over flow. If you’re fermenting in a sealed jar without an air-lock or fido, then the jar could even explode! So use jars that allow for off-gassing, and leave lots of head room for things to bubble up. However, if all you have is a regular mason jar, then just make sure you release the pressure daily. Lastly, if you’re bottling fermented drinks, then use plastic pop bottles or bottles with a swing top lid that are made for carbonated beverages (think of beer bottles). Funny smell: Most ferments have a unique smell. This smell can often range from yeasty to egg-like depending on what you are fermenting. Just because something smells funny, it doesn’t mean that it’s gone off. Things that are off usually smell so bad that you would NEVER consider eating them. 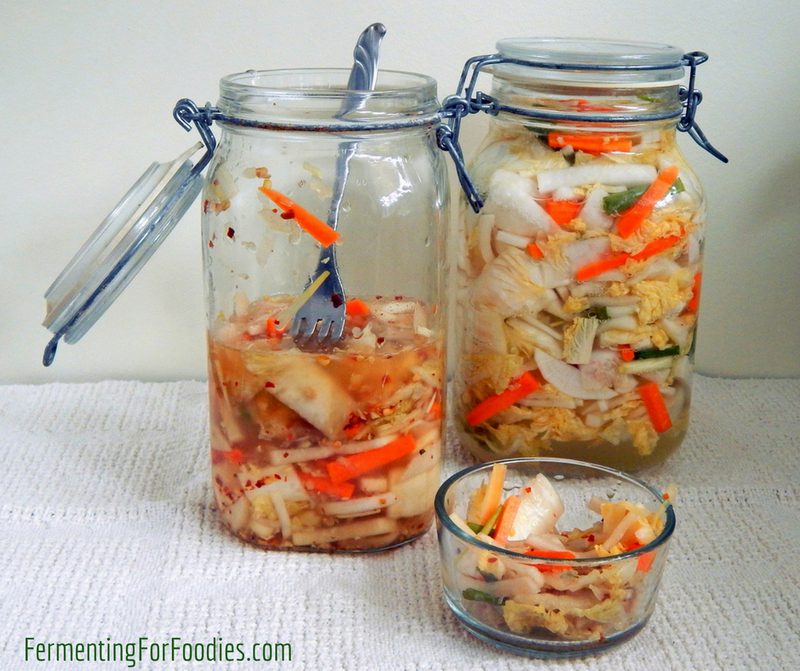 Changing colour: Many vegetables will change their colour and texture as they ferment. This is especially true if you’ve added something that will naturally dye things (beets, turmeric). However, even sauerkraut goes from a bright green to a pale yellow-green. If something is rotting, then it will look rotten (brown) and smell awful. 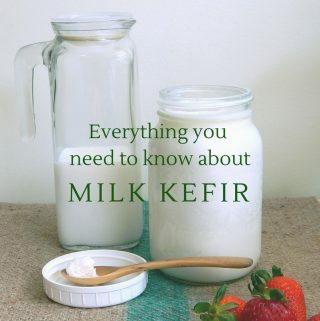 For more information on Fermentation Failures check out When Nothing Happens and Kahm Yeast and Mold. Also feel free to post a comment below or on our Facebook page.